I am being very sensible (some may say boring) and taking my time in putting together my new, newborn, wardrobe. From experience I now know that there is no need to go overboard with outfits – skirts and dresses for example are a waste of time. The best investments for those first few months (whether you are team blue, pink, or yellow) should be of quality and comfort. (and of course style.) 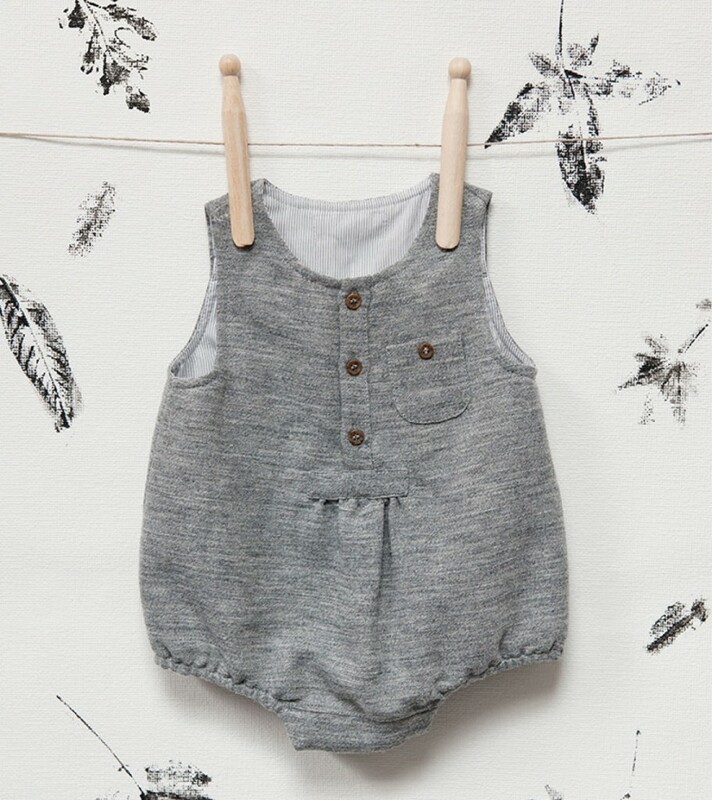 Onsies, rompers and chunky knits should be your go-to. Anything fussy is a no-no and baby shoes, forget it. 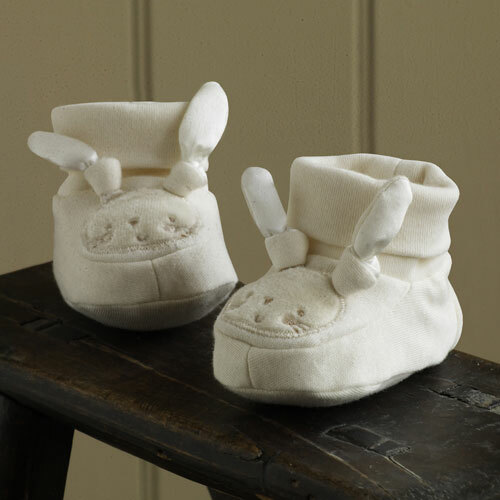 Instead look to knitted booties and socks which are far more comfortable, and I think way cuter for teeny tiny toes. 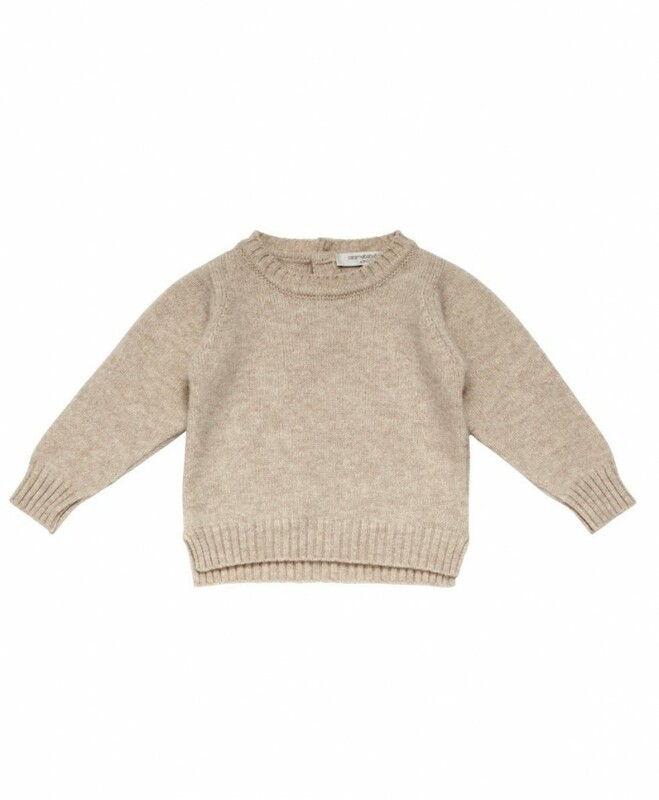 For that precious new skin think cashmere, wool and organic cotton wherever possible. This need not be expensive, some of my favorite high-street brands offer exactly that. One tip, check the care instructions. Handwashing is not an option with a newborn in the mix. I may not have actually brought anything yet, but I have of course been looking. 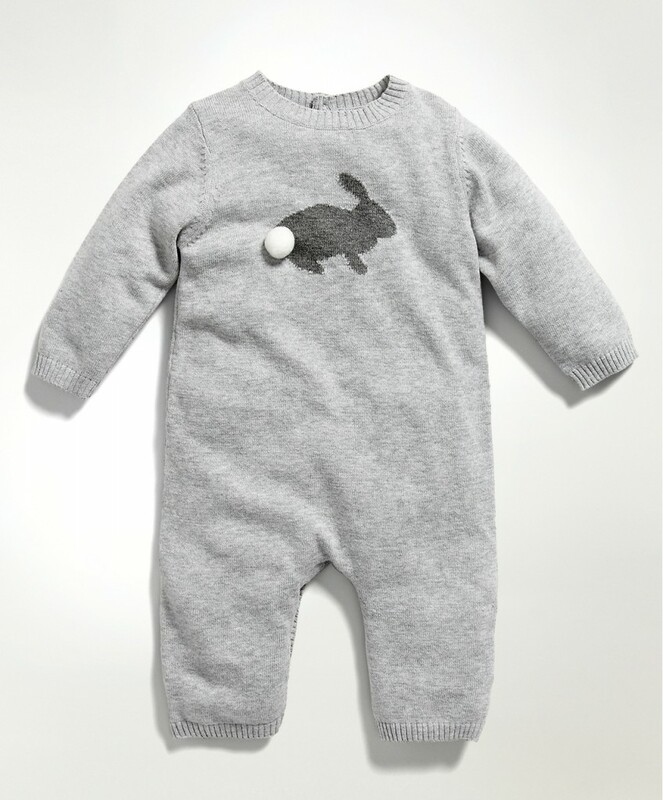 As March approaches I will have finalized my second, first, little wardrobe. 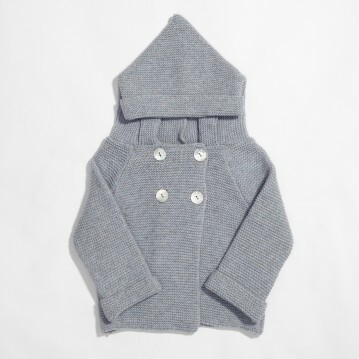 For a winter baby I am finding myself mostly draw to whites and grey’s, they are also the perfect unisex hues. 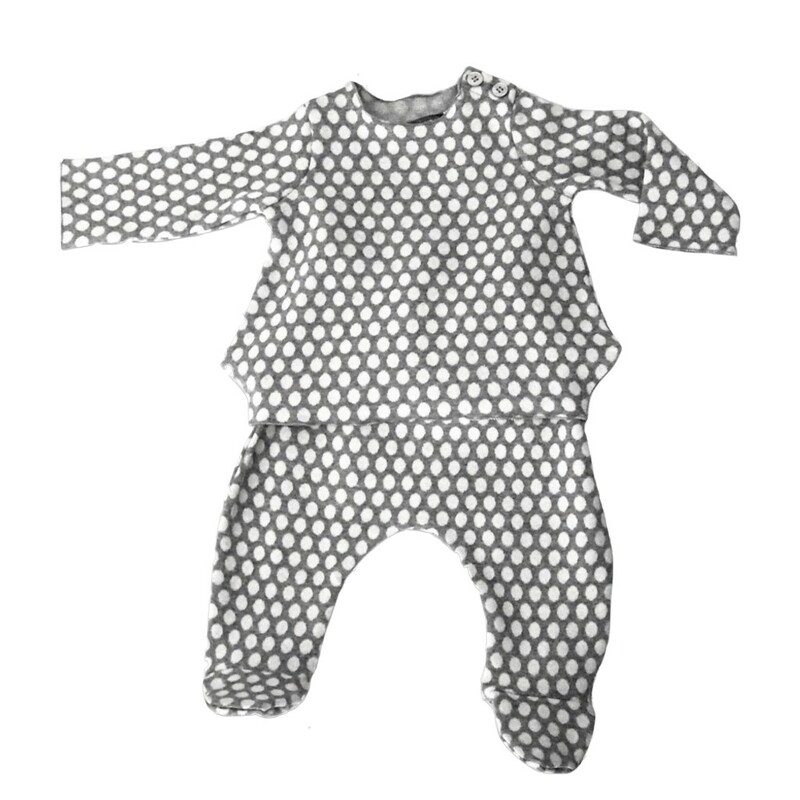 The following cuties from some of my favorite babywear brands are all strong contenders. This is so true and you become even more cautious by number 3. With my son (eldest) I had over 40 outfits for newborn, when he was born he was very tiny and non of them fit, he ended up being under 7lb till he was over 4 months old, so by the time he hit newborn seasons had changed and he barely wore a thing.